Chukumeka is an experienced and engaging trainer with a strong awareness of identity and a clear vision for how best to support individuals personally, and in their workplace roles. His own journey has taken him through a range of challenges and experiences and allowed a strong sense of empathy with managers and staff who are faced with organisational change. He is a tremendously dynamic and motivating trainer and speaker. Chukumeka is a Founding Director of Action to Prevent Suicide (ATPS) and a suicide prevention Trainer. He is passionate about working collaboratively with individuals and organisations to see people restored with improved health and lives saved and tragedies avoided. 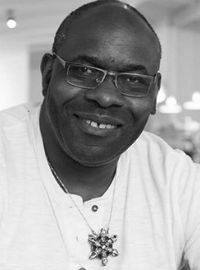 Chukumeka, has over 10 years experience of delivering training and consultancy in the NHS, Mental Health, Public Mental Health and children and family teams. His various roles include Community Development Worker, Equality and Diversity Adviser, Health Improvement Specialist and he is an independent HCPC registered Social Worker. He is a suicide prevention trainer specialising in Applied Suicide Intervention Skills Trainer (ASIST) and SafeTalk.